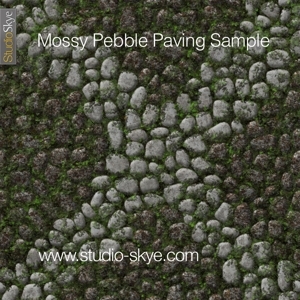 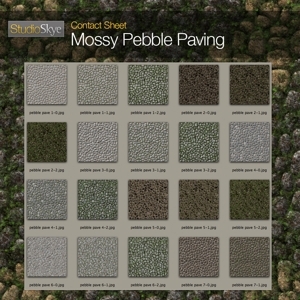 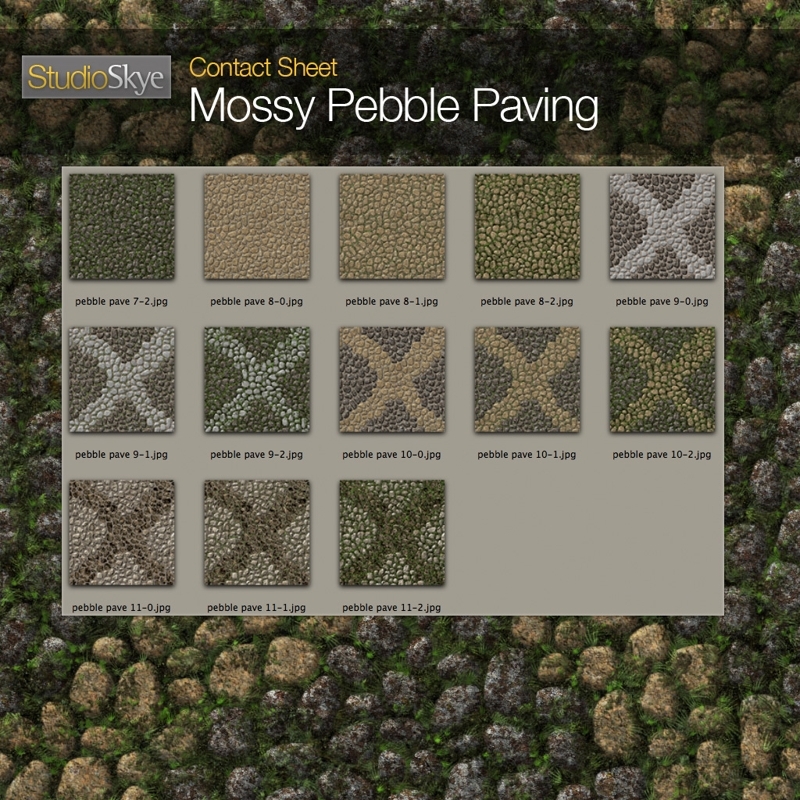 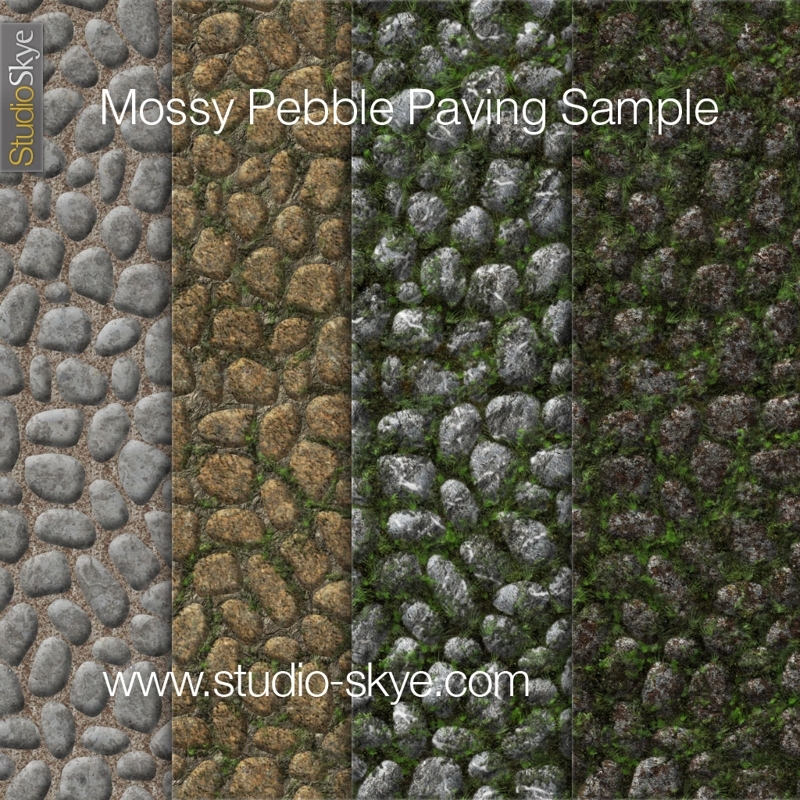 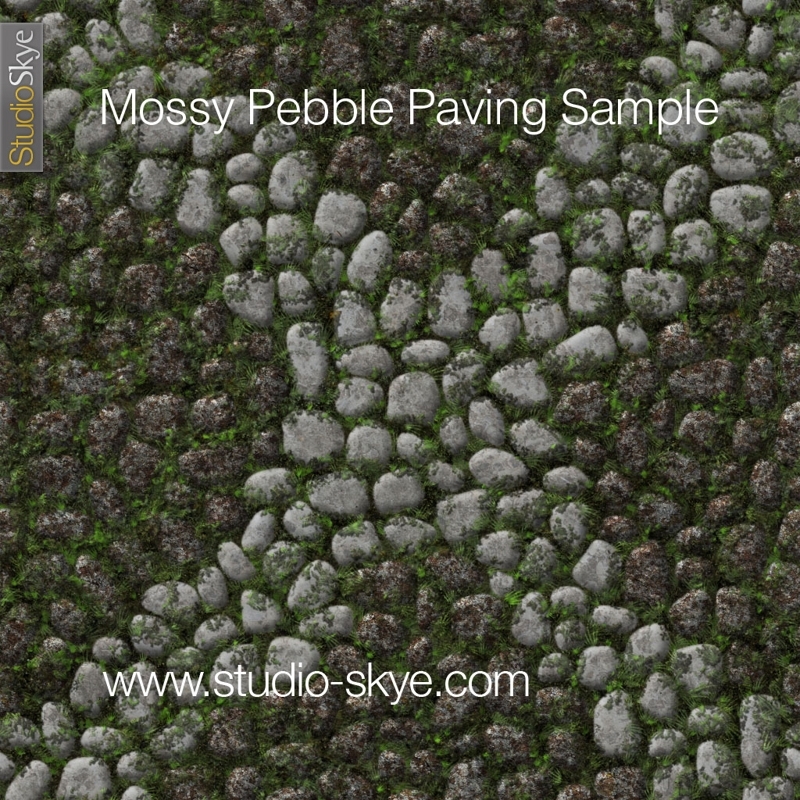 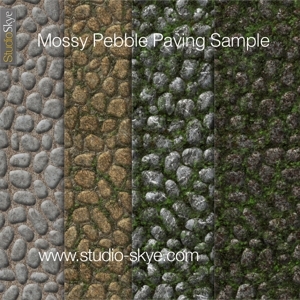 A collection of 33 pebble paving textures in a range of stones. 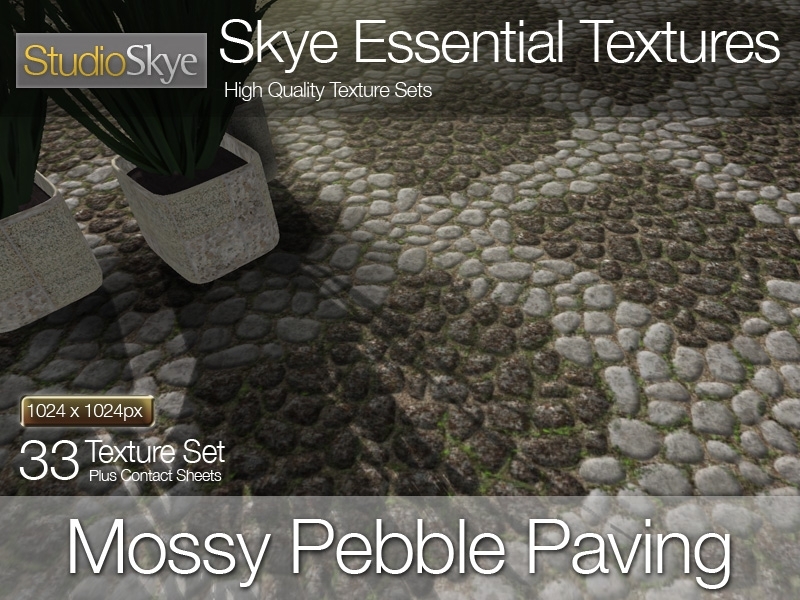 Each design as three moss levels – from NO MOSS AT ALL to A BIT MOSSY and then VERY MOSSY INDEED. 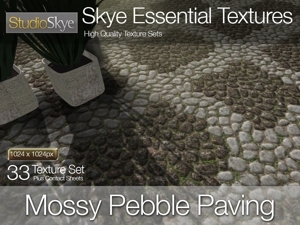 Whether you are building a slick modern street scape, or a rustic garden, this set is essential!